I am especially qualified to address our blog’s New Year’s topic of what keeps a writer going-going-going. In case you’ve forgotten, Ms. Lucci, the Queen of Soap Operas, was nominated 19 times (!) for a Day Time Leading Actress Emmy for her role as Erica Kane on All My Children before the Academy finally and officially “crowned” her in 1999. I too was out-and-about 19 years (!) on my particular (writer’s) plotline before receiving a contract in 1996 for my first-ever trade picture book, There Goes Lowell’s Party! (Holiday House, ‘98). It’s no coincidence my picture book character Lowell Piggott and I shared Susan Lucci’s heart. Despite May’s Ozark pourdowns, mudslides and twisters (in Lowell’s case) and writer detours, roadblocks, dead-ends and collisions (in my case), Lowell and I knew: folks would make it to our Party. Well, lucky me. I’m a December baby. My sign is Sagittarius. I was born Hopeful. In other words, my innate Positive Mental Attitude helped. A lot. Or for long periods of times. • I send myself encouraging greetings, via snail mail or email. • Well-worn copies (both paperback and hardback) of William Steig’s Brave Irene rest on my windowsill, page-pinched to cheer me on. • John Phillip Sousa’s Stars and Stripes Forever lies atop my CD stack, ever-ready to re-constitute and fortify. • My “Journal” continues to prove a Dumping Ground for negative thoughts, storing each and every disappointment, doubt, rejection and fear I come to know on a sometimes-daily basis. Giving words to my heart’s pain eases its intensity. Before too long I’m moving forward, significantly lighter and unencumbered. An added bonus? When relevant or necessary, I can transfer angst-filled feelings to my waiting characters. Who knew venting could improve characterization? • The Best Trick of All, though, I’ve saved for last: I intentionally STOP, in my writer’s tracks. Next I turn myself around to view the distance I’ve traveled. I take in all I’ve accomplished, all I’ve experienced – intentionally, but also unexpectedly. Then I embrace and celebrate all I've become. Look at where you’ve been, the people you’ve met and what you’ve already done in one given time period. Then turn yourself around ’til you’re facing forward. Take a second, just in case. Now continue on your Writer’s Journey, upright and satisfied. 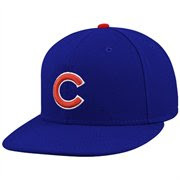 For the Cubs, I hope THIS is the year! I can't count the number of times your positive words and attitude have kept me moving forward, Esther. You are just in my head (or I'm in yours)! I recently re-christened my blog as a place for "inspiration, motivation and encouragement" because I think more is needed in the world. Then I come here and get my own fantastic dose of it! Thank you!! Almost two decades? SO wonderful that you are there already grounding yourself and going forward, or around in a circle, but moving. Thanks for the moving words. I love this! Thanks, Esther. it gladdens my heart to learn my honest telling of my oh, so long Writer's Journey touched fellow writers. Thank you to all who emailed privated, tweeted, blogged, FaceBook-ed and commented. While out-and-about, we're seldom privy to what I've come to call The Bigger Plan. I now see I was MEANT to struggle, so once I published, I could go forth to keep OTHER writers upright and moving forward on THEIR Writer's Plotlines - via coaching, teaching, blogging, RA-ing, or just hanging out. Great advice Susan-I mean Esther! We are all doing great work and it's nice to relate to people who are motivated by reading and books. reading. We have the power to show our children that reading is part of our lives. We have the power to share with our friends the books we love to read. The books on your site look great. I will look for them and hope to review some. Thank you for 'all' you've done for me... This journey that you and I have found ourselves on has been very encouraging, not to mention educating. You inspire me to 'not' give up when things look bleak and dark. I have certainly found my creative voice with your help. Happy 2011! Wonderful advice!! You helped me become a story teller this year - what a huge accomplishment which I will always be grateful for whether or not an actual product comes to fruition. Thanks for the cheers.